Indie Game: the Movie — Welcome to the GameSalad forum! 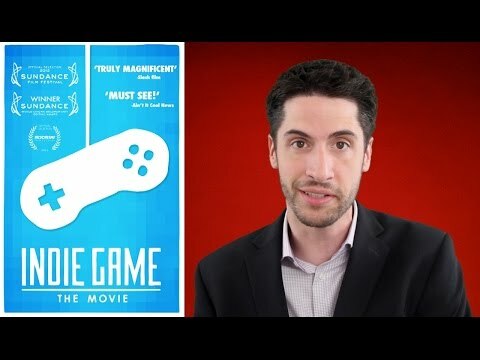 I know a lot of you may have seen Indie Game: The movie as it was talked about on these forums a few years ago, But I just found out myself that there was a sequel made thats now on Netflix called Indie Game: Life after thought some of you might like to see it if you don't know. Thanks for the heads up. I'll watch it and share some tidbit if it's cool. Too bad. Not on Netflix Canada. Just finished watching the sequel. I'm actually glad they made a sequel and you're not wondering what happened (without resorting to Google, of course). It's good to see the little guys win. The big names are making things tougher for the little guy, even Apple with their periodic changes to the App Store. I'd like to see these guys revisited in about ten years' time, and see if they can still do the indie thing. Maybe I'm not knowledgeable enough on the matter (this is still a hobby for me), but I feel indies should be more supportive of one another in terms of sharing knowledge and getting represented in venues where otherwise no one individual would have a voice. With a lot of candy crush and CoD type games out there, where everything is the same, fresh ideas can stand out, but it's just one individual in a sea of billions. Not sure if I'm making any sense to you. Another thing that stuck in my head was the number of years invested in a game. Five years on Fez. I mean, some computers break before then! BTW - there were a couple of shots where you could see them coding. What were they using? If you look at the Apple Developer page, it has the colors they used at WWDC 16, and looks like Swift. In the movie, though, some of them are clearly not using Apple computers. I thought the sequel was awful compared to the first one, I would have liked to see a new set of indies making it big! Fez was built in a custom engine using XNA with C#, Super meat boy is again a custom engine, originally in flash then I believe c++ and I'm not sure with Braid but I'd assume c++ as well. Having not seen the sequel, I can't comment on whether it's good or not - but I do like the aspect of following up. It's easy to assume that once you've made one big game that's it - I think it's interesting to see what happens next and feels like a better idea for a sequel to me. Finally came up locally on my Netflix. Fantastic movie. Love Edmund. A must see movie. The sequel is ok. Both are must see movies. You tweaked my curiosity. The review above was interesting in itself. It alone has had 238 K views. But, as far as I can tell the movie is not available down under. It wasn't in Canada either but just came up recently. Keep checking. They are worth a watch.